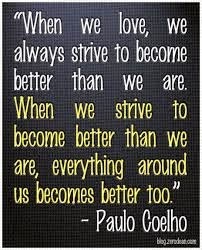 Strive to be…… | Precious Thoughts! Man of integrity: when it comes to integrity, I feel its importance is really understated; it is not talked about nearly enough. 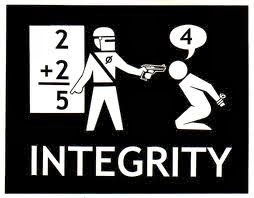 Integrity entails a lot, from doing the right thing at all times to being a reliable person. Let me share an experience that I learnt from- last weekend, I was opportuned to be in a gathering, and one of the agenda was to appoint new officials for the group. After the new officials were appointed, the Outgoing President sensed that the members of the group [especially those of us that were attending for the first time] were curious to know the criteria that was satisfied for the appointment of the new president. The Outgoing President said “If there’s anything I’m more than certain of, is the fact that Ms Axxxxx is very reliable, whatever you ask her to do, she will do. Whenever you need her, if she says she will be there, she will be there”. Trust me, our curiosity/’quest to know’ was quenched. So what did I learn?? (i)When you’re a person of integrity, promotion is inevitable. (ii)when people are in doubt of if you deserve something/ a position, there will always be one person who will slam the doubt with trust. A Leader: when the issue of leadership arises, the first thing that comes to an individual’s mind is ‘someone that is occupying an upmost position’. Well! I have a slightly different opinion on that. I see everyone as a leader; why do I say so? Leadership has a lot to do with influence and anyone is capable of influencing another; positively or negatively. One follower is another leader. For instance, a father may like Mr Obama’s principles of life and may directly or indirectly instill these principle in his children. In this scenario, the father, a follower, has become another leader and the cycle goes on as his children influence other people. So in all, just being a leader does not just ‘make it alright’ but being a good leader for something ‘positive and impactful’. 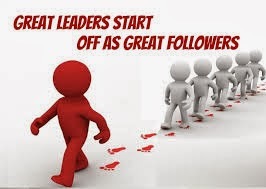 So even if you’re a follower, you are another leader! A Wise Person: so the bible in Proverbs says ‘that whoever wins a soul is wise’. This is a very ‘heavy’ statement, but I will not be dwelling on the spiritual connotative meaning. Wisdom entails a lot but specifically to what I’ve learnt, I’m referring to the ability to pass on knowledge. I believe there is not a dull person on this planet [you may not agree], everyone knows something, and passing on the knowledge is very key. Imagine if Parents just had kids and never told their kids the lessons they’ve learnt from life; there’s a high probability of the children making the same mistakes or even worse mistakes than the parents. Basically, you know something, share humbly and confidently; therefore, passing on knowledge is winning a soul-being wise. A Grateful Person: it is quite sad that the concept of ‘being grateful’ is ‘you have to do something that is a big deal‘ before gratitude can be exhibited. People are beginning to forget that most times, the ‘little thing’ is the big deal. A person does not have to give you a Bentley for gratitude to manifest. For a person to spend 15 minutes with you, having a chat or a person gives you a pencil; gratitude should still take its place. I fear that we live in a world where gratitude is seen as a ‘no big deal’, and I must say it is severely disturbing. Nobody owes you anything not even their time, so we should not degrade the sanctity of gratitude. I know these are few tips [I like to refer to them as ‘my one kobo thoughts’, they are priceless as well], but more importantly, these are not all; you’ve something to add. So what kind of person do you strive to be yearly, monthly, fortnightly, weekly, daily, hourly, etc? Have a joyous weekend even as you go about the finale preparation for Christmas! !